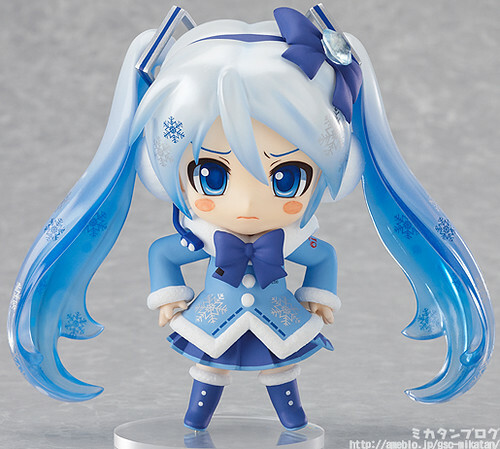 Nendoroid Snow Miku: Fluffy Coat version is Announced! 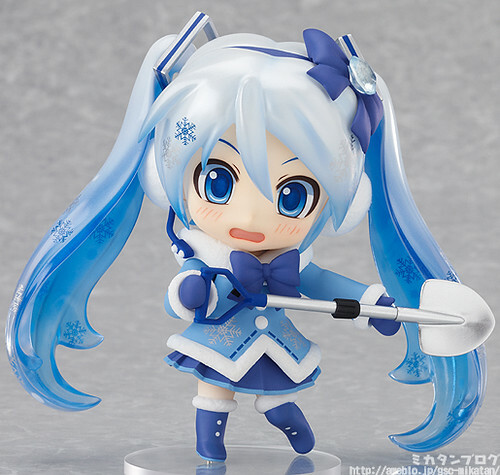 Yep, Mikatan has shown the official product photos of the upcoming Nendoroid Snow Miku which is due to be released on late January or early February. 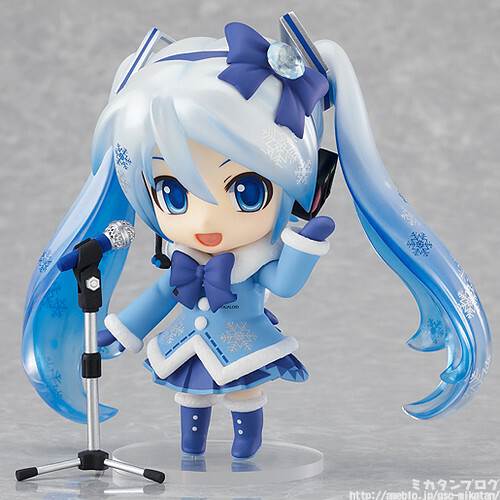 The Snow Miku will be called as Nendoroid Snow Miku: Fluffy Coat version (Japanese: Fuwa Fuwa Koto version). She brings along 3 expressions – and all of them are CUTE! – as well as mic + stand and a shovel. 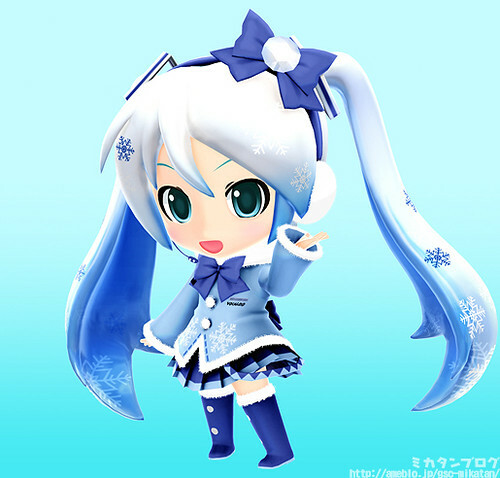 Anyway, this version of Snow Miku will also be available on Japan’s Project DIVA Arcade as well as the upcoming 3DS game, Hatsune Miku and Future Stars: Project Mirai. This entry was posted in News and tagged fluffy coat, fuwafuwa koto, hatsune miku, nendoroid, snow miku, wonfes. ← Nendoroid Inui Sana is Spotted in GSC’s Latest Live Nico Nico Broadcast! S–so cute! why can’t I be rich.